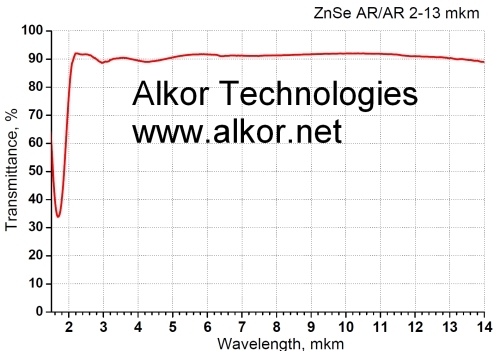 Alkor Technologies - manufacturer of ZnSe windows, ZnSe lenses, ZnSe ATR prisms. 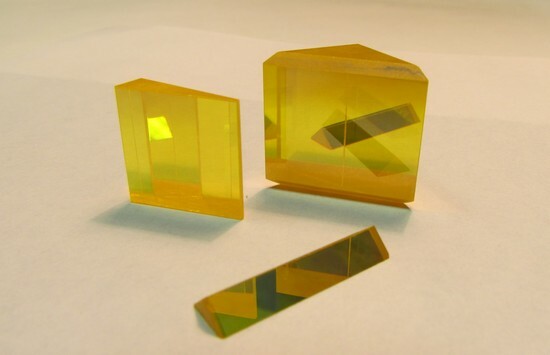 We produce custom Zinc Selenide optics according to customer demands. 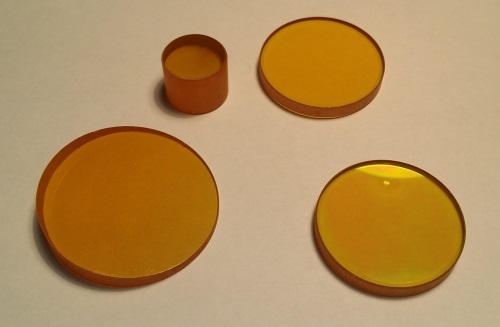 CVD ZnSe used in windows and lenses for spectroscopy and high power laser optics, industrial applications. We offer ZnSe windows, ZnSe wedges, ZnSe lenses, ZnSe hemicylindrical lenses, ZnSe ATR prisms. 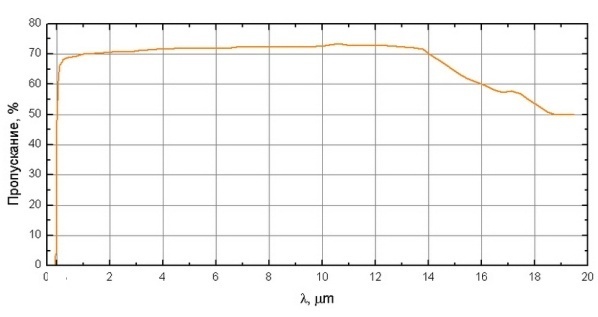 The transmission range of Zinc Selenide (CVD ZnSe) is 0.5 - 20 µm. For the best perfomance of ZnSe windows we offer several type of AR coatings for 10.6, 2-13 or 8-12µm. See transmssion curve below or request our Sales for custom solution. Please contact us us for quotation of your ZnSe windows or lenses. Our Sales Team will prepare an answer within 24 hours. If you do not see a suitable size in catalogue, write a request, we will make ZnSe windows according to your drawing at no additional cost. The largest dimensions of ZnSe optics - Diameter 80mm. Rectangular ZnSe windows are also available.